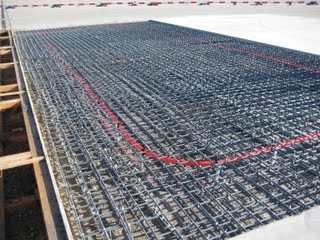 Application : Steel free slab reinforcement to avoid electro magnetic circuit. 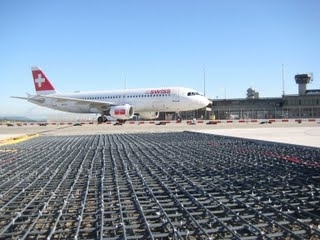 General information : The reconstruction of Dock B is the key project of enhancing capacity of the airport Zurich and also cope with the "Schengen" requirements. 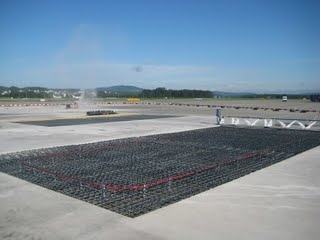 The Project foresees further the construction of a second airfield at the front of the Dok B. 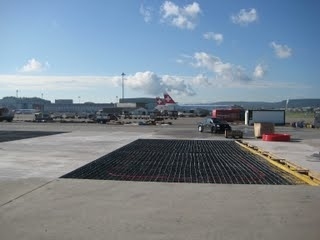 The airfield comprises signalization installation in the slabs. Therefore in those regions any electromagnetic conductivity in the reinforced concrete slabs need to be avoided.